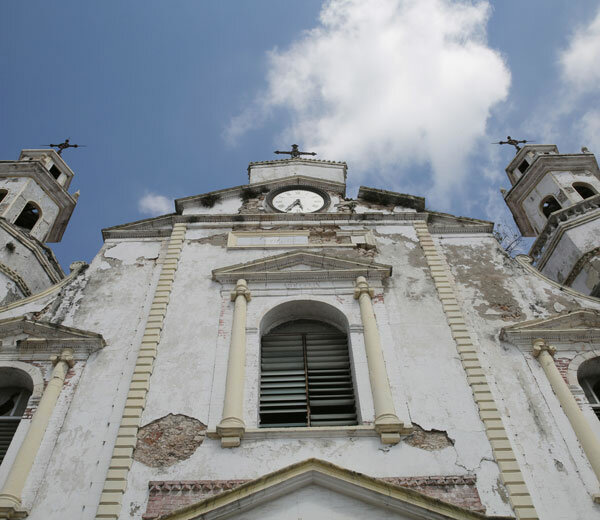 The Cathedral of St. James and St. Philip was badly damaged following the earthquake 5 years ago. As a result, weekend mass had to be held in another, rundown location where services took place on three separate floors. Soon, however, the church's leader, Bishop Saturne, will realize the dream of one community worship center for the church's patrons. Come May 1, the leaders of the church will have a new Cathedral dedicated to them through the aid of the U.S. Conference of Catholic Bishops and church officials across the world.